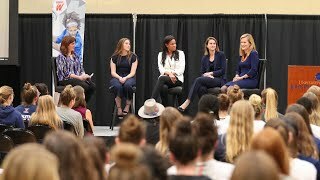 A look at the special career development program for female student-athletes. 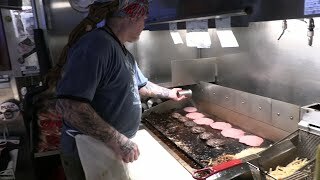 Dave Koehn goes on assignment to try a Minneapolis hamburger specialty: The Jucy Lucy. Whatever the new year has in store, we're ready. 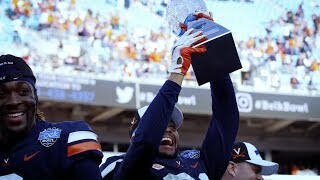 We play for Victory. 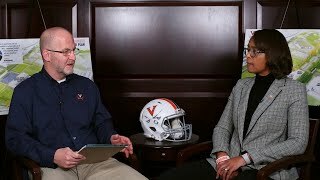 Director of Athletics Carla Williams discusses her intro to Charlottesville and UVA Basketball. 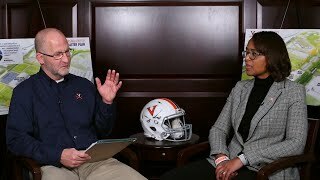 Athletic Director Carla Williams sits down with Jeff White to discuss the 2018 Football season. 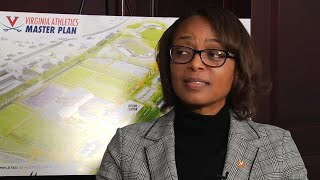 The Director of Athletics reflects back on her first year in Charlottesville and the UVA Athletics Master Plan. 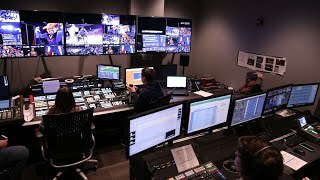 An all-access look at the ESPN Network Extra production of the Morgan State Men's Basketball game. 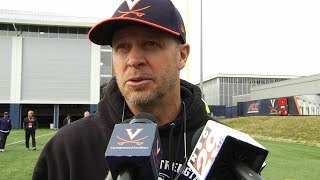 MEN'S BASKETBALL: Favorite Holiday Gifts Members of the men's basketball team share their favorite holiday gifts.